Each month The International Wine of the Month Club delivers to our members the finest quality and value wines available from around the world. This April The International Wine of the Month Club Premier Series features a host of springtime wines to grace your table and delight your palate. 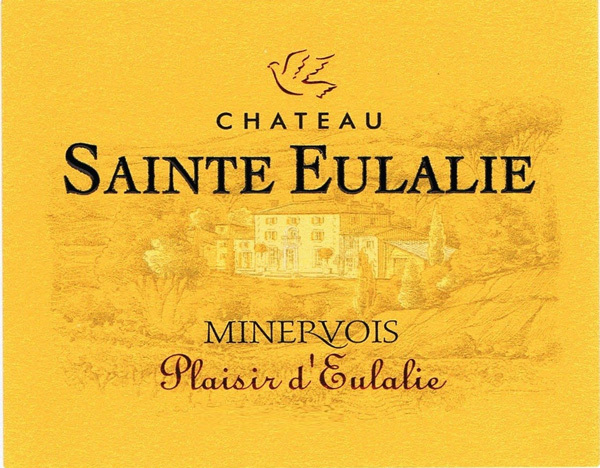 The 2015 Château Sainte Eulalie Plaisir d’Eulalie Minervois, a plump, round and beautifully textured red wine from old vines in a great vintage, begins this month’s offerings. 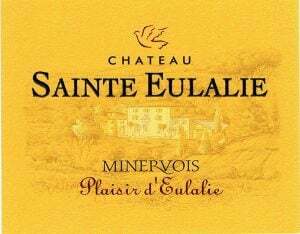 The 2015 Plaisir d’Eulalie captures the taster with savory scents of black cherry and plum, intertwined with hints of violet, Provençal herbs and black pepper – all of which continue to develop and impress for hours on end. We have come to expect nothing less from Madame Coustal, who consistently fashions fleshy, juicy wines with soft, seductive tannins. For those looking for a mouthful of beautiful fruit and a taste of traditional country wine from France’s oldest wine producing region, there is no better offering than Château Eulalie’s 2015 Plaisir d’Eulalie. Our next Premier Series offering is the 2015 Emile Beyer Pinot Blanc Tradition from Alsace. Emile Beyer’s 2015 Tradition Pinot Blanc exudes charm, flavor, and a roundness that comes only in great vintages such as 2015. In this wine, winemaker Christian Beyer captures the lush fruit that characterizes the vintage, without sacrificing the ethereal quality that makes his Pinot Blanc both easy to drink and completely satisfying. The aromas of Bosc pears and mountain apples laced with soft seductive hints of freshly baked bread and spices delight the nose, all of which set the tone for the finely honed fruit flavors, subtle complexity, and underlying energy that always seem to emerge from Beyer’s wines. Next in this month’s exciting quartet is the 2011 Antucura Calcura from a highly acclaimed winery with a reputation for fashioning bold, age-worthy wines that are literally packed with flavor. The 2011 Antucura Calcura offers a visually intense ruby color, brilliant aromatics, and stunning concentration. A blend of 40% Merlot, 33% Cabernet Sauvignon, and 27% Malbec, the 2011 Antucura Calcura is an outstanding Meritage offering and the finest Calcura to emanate from this illustrious winery. It offers ripe blackberry, plum, currant, and spice flavors that truly fill the senses. Velvety and smooth upon entry into the mouth, Calcura explodes on the palate with a riot of flavors. Tremendous fruit and complexity are backed by ripe tannins and 15.5% alcohol, the latter being nearly imperceptible until after you have consumed it. Given the complexity, size, and even the elegance of this wine, it is no wonder that it has received such favorable press. 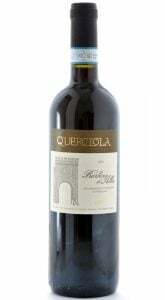 The 2011 Antucura Calcura received 94 Points from Patricio Tapia’s Descorchados, South America’s illustrious wine guide. 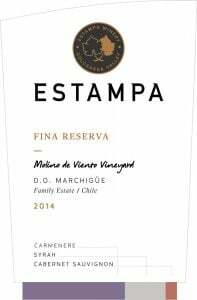 Patricio Tapia, a journalist and Bordeaux trained winemaker, also writes for Wine & Spirits magazine, where he covers the wines from South America and Spain, and Decanter. Rounding out this month’s Premier Series offerings is the 2016 Casas del Bosque Reserva Sauvignon Blanc, which continues Casas del Bosque’s “hot hand” with Sauvignon Blanc and adds further testimony to the superiority of Chile’s Casablanca Valley for growing cool climate grapes. The 2016 Casas del Bosque Casablanca Reserva Sauvignon Blanc offers the crispness of French Sancerre, the juicy citrus flavors of New Zealand Sauvignon Blanc, and beautiful fig and melon flavors along with an aromatic intensity that only Chile seems to impart to Sauvignon Blanc: a delightful mélange of citrus, melon, and herb that intensifies as the wine rests in the glass. Bright in color, captivating in aroma, and delicious in flavor the exuberant 2016 Casas del Bosque Casablanca Reserva Sauvignon Blanc is even more alluring than the winery’s award winning 2015 Reserva Sauvignon Blanc. The International Wine of the Month Club’s Collectors Series presents three exceptional and uniquely different wines this April. The 2011 Viña Magna Tempranillo Crianza (Gold Medal recipient at Europe’s renowned Concours Mundial de Bruxelles) spearheads this month’s selections. 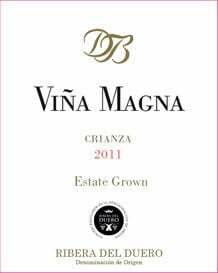 The 2011 Viña Magna Tempranillo Crianza drinks like a first-class Reserva from Ribera del Duero, Spain’s most illustrious Tempranillo appellation, and aptly reflects Viña Magna’s pre-eminence in crafting traditional Ribera del Duero. This wine displays a robe of deep garnet and purple, which makes it appear nearly impenetrable in the glass. Although built for the long haul (10-15 years of a healthy life), the 2011 Viña Magna begins to sing from the glass from the moment it is poured. It offers a deep draught of plum and black cherry fruit, minerals, spice, and well-integrated oak tones to delight the nose. 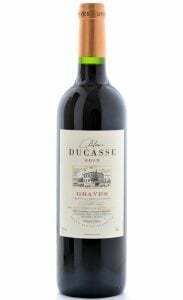 In the mouth, the wine reveals its power and concentration as well as its plush texture and broad palate appeal. Unfolding slowly, revealing layer upon layer of boysenberry, fig, dark chocolate and spicy oak tones, the 2011 Viña Magna Tempranillo Crianza ingratiates itself to the palate before finishing with a bang. There is no lack of tannin or structure in this Ribera del Duero, but all is in sync. 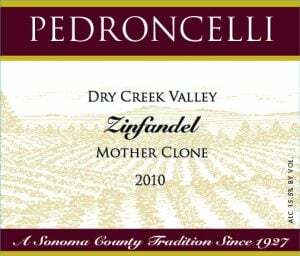 Savvy consumers will want to lay away some bottles of this wine to enjoy in the years to come. Our next April Collectors Series offering is a highly allocated white Burgundy from one of Chassagne-Montrachet’s preeminent producers, Amiot Guy. Amiot Guy’s 2014 Bourgogne Chardonnay emanates from vines just outside the boundary of Chassagne-Montrachet and drinks like classic white Burgundy from that renowned village. This Bourgogne Blanc is a wine of grace, precision, and subtlety that bears little resemblance to the tropical fruit-bomb style of many New World Chardonnays. Rather than overlay the exemplary mineral rich flavors of Chardonnay or obscure the appellation’s unique terroir with copious quantities of new oak, as is often the case with New World Chardonnays, Guy and Thierry Amiot capture the complexity, sophistication, and eminent drinkability of Chardonnay in the family’s brilliant 2014 Bourgogne Chardonnay, a wine that sports a sun-kissed robe that radiates the glow of morning sunshine. Along with a brilliant color, the medium-bodied Amiot Guy Bourgogne Blanc possesses a mineral rich nose and a wealth of soft, seductive flavors. In the mouth, a cache of flowers, minerals, and spices wells up from the center of this wine, adding complexity and framing the racy finish of this elegant concoction. Although still in the fresh bloom of youth, the 2014 Amiot Guy Bourgogne Chardonnay has several years of favorable evolution ahead of it. Enjoy it now and over the next couple of years. Completing this month’s Collectors Series is the magnificent 2012 Edgebaston GS Cabernet Sauvignon, a wine dedicated to the late George Spies, former winemaker at Monis of Paarl and Stellenbosch Farmers Winery. Spies’ 1966 and 1968 GS Cabernets have been heralded as two of the most extraordinary Cabernets ever made in South Africa and they have been compared to the legendary California Cabernets of André Tchelistcheff from that same era. Having tasted numerous Cabernets made in the 1960s by André Tchelistcheff and a string of Edgebaston’s GS Cabernet Sauvignons over the past 7-8 years, it is clear that Edgebaston’s GS Cabernets do indeed bear more than a passing resemblance to Tchelistcheff’s legendary wines. Both wines are deep, dark, and tannic in their youth, not unlike First Growth Bordeaux such as Château Margaux, Lafite or Latour, which is why the highly allocated 2012 Edgebaston GS Cabernet Sauvignon remains the current release. Although still extraordinarily deep and powerful and far from its ultimate maturity, the 2012 Edgebaston GS Cabernet Sauvignon already displays beautiful aromatics and a core of fruit, earth, and spice in the form of a wellspring of voluptuous blackberry and blackcurrant fruit imbued with cedar, spice and plenty of ripe tannins, all wrapped in a satiny patina. David Finlayson’s GS Cabernet comes across as an artful blend of Classified Bordeaux and super premium Napa Valley Cabernet Sauvignon, blessed with a touch of the fabulous terroir of Stellenbosch. This should come as no surprise given David’s experience with great Cabernet Sauvignon while at Château Margaux and now at his own estate. Enjoy!